He is so in awe about the world around him! This month, at The Crochet Crowd, the crochet mystery challenge was called “Who’s In Your Closet?” The pattern called for worsted weight yarn and 5.00mm hook but I decided to use thinner yarn and a smaller hook. I had this mystery yarn I got from my sister and I figured it was time I put it to use. The yarn didn’t have a label but I’m going to guess it’s DK/light worsted, wool/acrylic blend. For the hook I used a size 3.50mm. 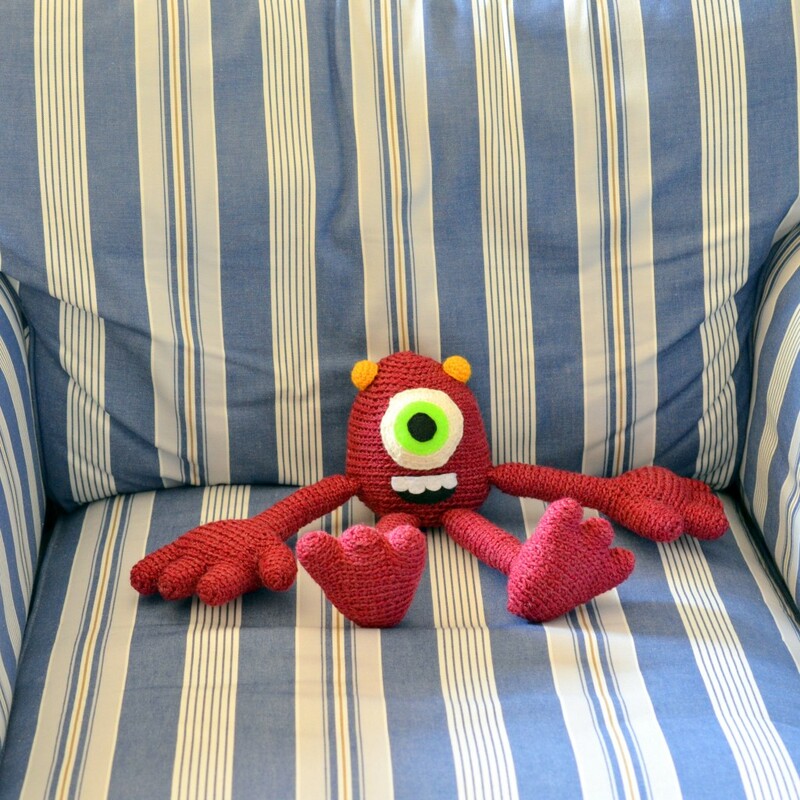 This was my first time making a stuffed toy using the back loops only – took a few rounds of getting used to and remembering not to crochet how I normally do. The pattern was very easy to follow and it was fun to guess what it could be. The first week it started out with feet and legs, which I thought would be for a duck. The next clue added arms and “nubbly things” and then I was just stumped. I was pleasantly surprised when the mystery creature turned out to be a one-eyed monster! 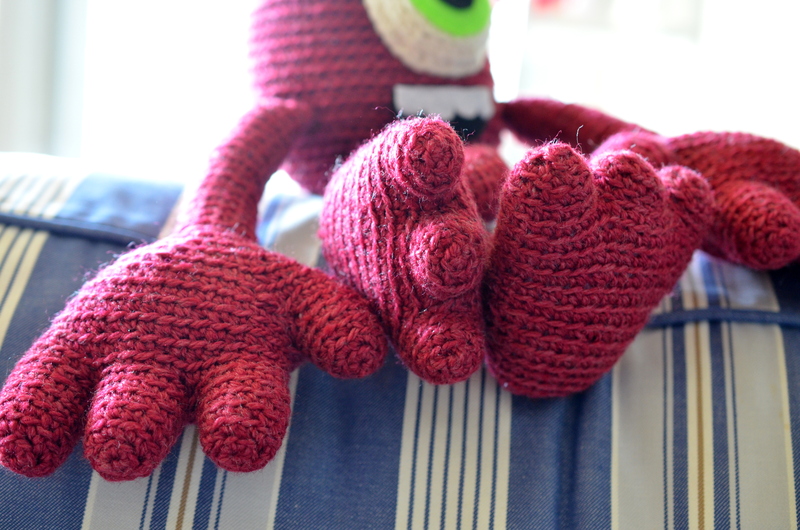 Another first for me was making hands/feet that big and with individual fingers/toes. That was my favourite part and I love how cute and funny they look! 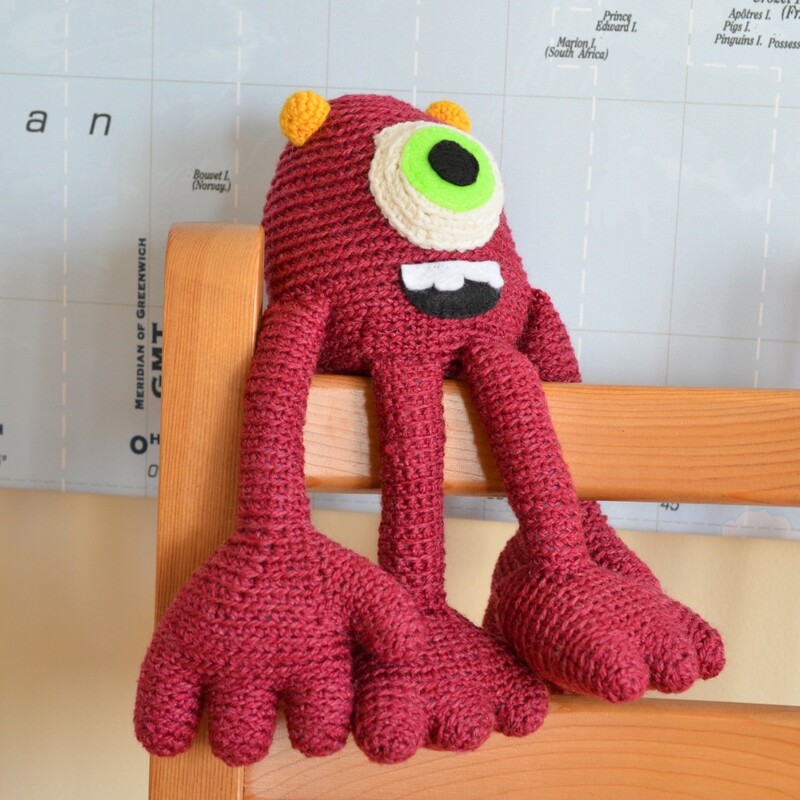 There’s still a week left before the challenge is over so if you’re feeling up for a fun challenge head over to The Crochet Crowd pattern page.